Perugia holds the treasures of the Umbria region of Italy. For centuries Umbria has been the site of populations of warriors, knights, artists and saints. It is a place where you can find historical jewels like Assisi, the Basilica di San Francesco and the other Franciscan sites. It is an area well-known for its extraordinary extra-virgin olive oil, beautiful natural landscapes like the Sacred Wood of Monteluco and the marvelous Clitunno Springs. Perugia has also identified itself with chocolate since the beginning of the 20th century. On my recent trip to Perugia, Italy, I was amazed and delighted to discover the town’s “Distretto del Cioccolato” or “Chocolate District”. I was fortunate enough to sample some of the varieties chocolate made in the region, and it was by far the most phenomenal chocolate I had ever had in my life! The people of Perugia have a strong dedication to honoring the past, and traditions. Therefore, many institutions keep the history and the tradition of the chocolate production experience alive by offering chocolate lovers a chance to visit Casa del Cioccolato (The Museum of Chocolate), Scuola del Cioccolato (The School of Chocolate), and the epic international event, Eurochocolate. The region is so dedicated to chocolate that within Perugia, there is a network of small firms and artisanal laboratories that guarantee genuine and high quality chocolate products. 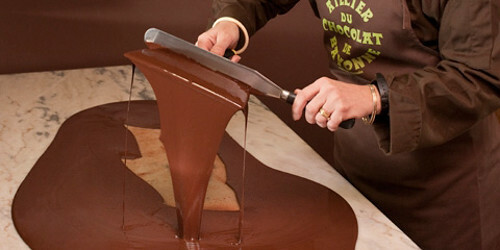 Perugia is home of “The Chocolate Way“, an international association that aims to promote the official recognition of a cultural route dedicated to chocolate. Disgusting for those who do not know it, with a foam or a film on the surface that is very unpleasant to the taste. However, it is a drink very much appreciated by the Indians, who use it in the honor of nobles who cross their country. The Spanish, both men and women, who have become accustomed to the country are very greedy of this Chocolate. They say they prepare it in different kinds: hot, cold, warm and they also make a paste which they say is good for the stomach and against the catarrh. 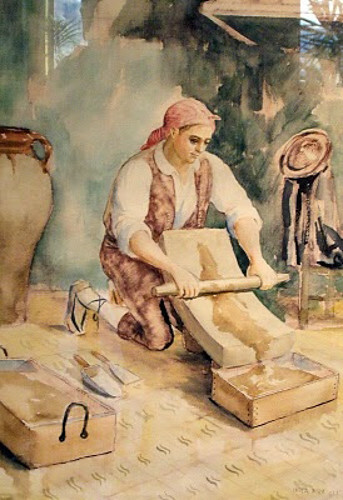 In the seventeenth century, cocoa arrived in Tuscany, thanks to the merchant of Florence Francesco d’Antonio Carletti. In 1606, chocolate was produced in Italy in the cities of Florence, Venice and Turin. Today you can explore the history of chocolate via “The Chocolate Way”- the cultural route dedicated to the history chocolate back to its birth in Spain. Take a look here at the Route du Chocolat.